Left and right are devided. Anatomical design compensates for atrophy and avoids calcaneus irritation. To be used for mild to moderate drop foot. Excellent fit for most types of shoes. Available in left or right, men's and women's styles. Trim to fit with scissors. This AFO splint provides static dorsiflexion assistance and lateral stability for the entire foot-ankle area. 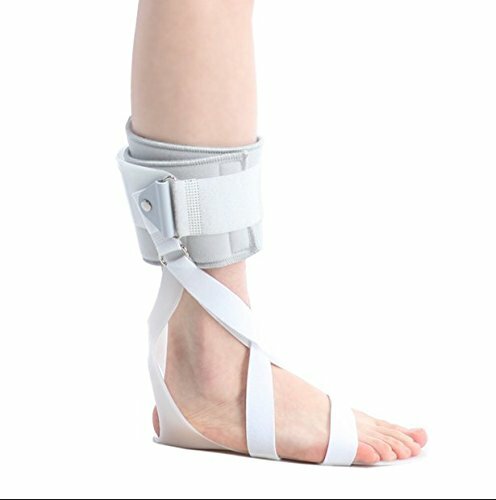 Extra "8" shape band and padded hook-and-loop strap secures the AFO firmly around the calf. The low arch and open heel give this splint a streamlined profile that fits easily into any shoe. If you have any questions about this product by Rousu Medi, contact us by completing and submitting the form below. If you are looking for a specif part number, please include it with your message.